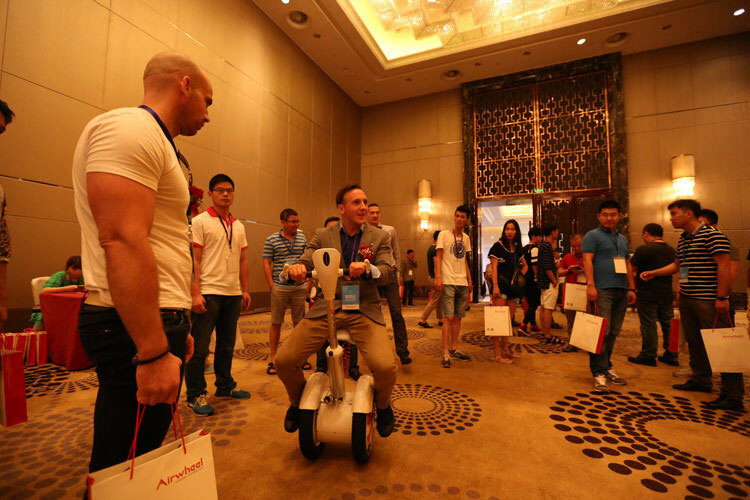 Abstract: As a giant in the self-balancing scooter market, Airwheel Technology has launched the first self-balancing scooter with a saddle, A3. A3 stands out in the market due to Airwheel Technology’s spirit of innovation and abundant technical strength. It is a desirable experience to ride an intelligent self-balancing scooter around on a clear day. To get around in a low-carbon style, intelligent self-balancing scooter should be the optimal choice without any doubt. As a giant in the self-balancing scooter market, Airwheel Technology has launched the first self-balancing scooter with a saddle, A3. 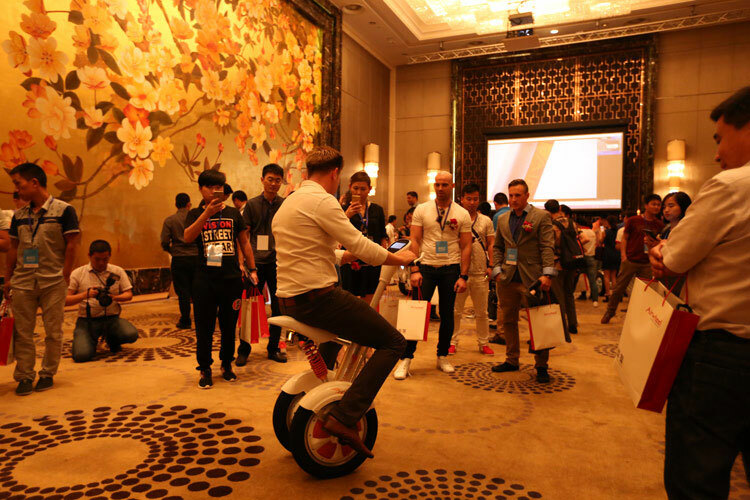 A3 stands out in the market due to Airwheel Technology’s spirit of innovation and abundant technical strength. The introduction of a saddle in the device is not a surprise move. Instead, it is to break the barrier of electric self-balancing scooter labeled as a five-mile commuting vehicle. For short-distance commuting, sitting or standing posture makes little difference. But in terms of long distance, the standing posture would lead to fatigue. Airwheel intelligent A3, with the designing of a saddle makes riding more labor-saving and relaxing. The body weight is evenly deployed onto different parts of the body instead of centered only on the legs. Airwheel has also taken account of female riders’ feelings, and guarantees that their feet could touch the ground easily. In addition, Airwheel A3 is introduced with an original electronic braking system, hydraulic suspension system and automatic steering-sensor system. Airwheel’s pioneering spirit is reflected not only in its design but also in an intelligent APP. After downloading the APP from its official website, users could connect the APP with their A3, and get the real-time data of their devices, like riding speed, residual capacity, and running time. It is also possible for riders to regulate the speed according to their own liking as well as make fault detection. These functions are all created for the best riding experience. The popularity of an electric scooter is determined by what kind of riding experience it could deliver to customers, while for better riding experience, intelligent scooter producers should possess core technology and consciousness of innovation. It is affirmed that Airwheel A3 is manufactured abiding by such a principle. Next：Airwheel électrique auto-équilibrer Scooter est un succès de mode.